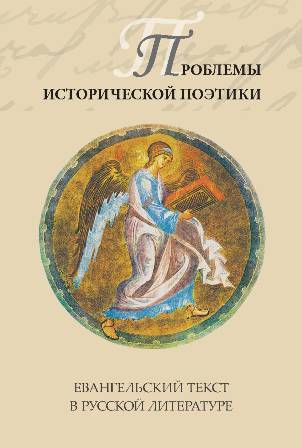 Historical Poetics is an original line of researches in Russian and World literary studies. It was elaborated by VESELOVSKY A. N. and developed then by Zhirmunsky V. M., Putilov B. N., Meletinsky E. M., Bakhtin M. M., Likhachiov D. S., Averintsev S. S., Mikhailov A. V. and others. The purpose of Historical Poetics is to study genesis and evolution of poetic forms, and its task is to “define the role and borders of the tales in the course of individual creative work” (Veselovsky A.N.). In print since 1990 the Journal "The Problems of Historical Poetics" aims at publishing new researches in the area of comparative historical studies of poetics. The Journal offers new interpretations of the works of Russian and World literature based on original ideas and concepts. Each issue has an issue-related name (book title). Among the best-known issues there is ''The Gospel text in Russian literature of the 18th—20th centuries: quote, reminiscence, motive, plot, genre", where a particular research trend – ethnopoetics – was formed. Ethnopoetics makes it possible to discover national features of Russian philology through the categories of poetics. The authors of the articles offer new interpretations of the Russian classics, a new concept of Russian Literature as Christian one. The Journal was highly praised in international periodicals. In one of his reviews a distinguished American Slavist Victor Terras designated this research trend as «A Christian revolution in Russian literary studies»: Terras, Victor. A Christian Revolution in Russian Literary Criticism // Slavic and East European Journal. 2002. Vol. 46. N 4. P. 769- 776. The journal "The Problems of Historical Poetics" offers researchers from Russia and other countries an international platform for publishing the results of their work. The Journal strives for international integration of Russian literary researches and for the involvement of contemporary international researches in the national literary studies. Articles are accepted for publication in Russian, English, Spanish or Italian languages. At the request of the author of the article can be translated and published in Russian. Publication of articles is free of charge. The Journal is freely available. Its content is free for users. They are permitted to read, download, copy, distribute, and print full texts of the articles exploring the links without any preliminary permission of the Editor or the Author. The web site of the Journal http://poetica.pro contains information about the edition (history, theme, requirements for manuscripts and reviews), about the Editor-in-Chief and the Editorial Board (Academic degree and title, contact information), and the archive of the Journal for the last 25 years. The Editorial Board consists of the distinguished scholars from various countries of the world. All the submitted articles are necessarily reviewed. The reviewers are of the highest level. Sends to the journal articles are reviewed by experts with a doctorate or PhD in special scientific topic of the article. Reviewers can as an editorial board member, and not to enter into their composition. 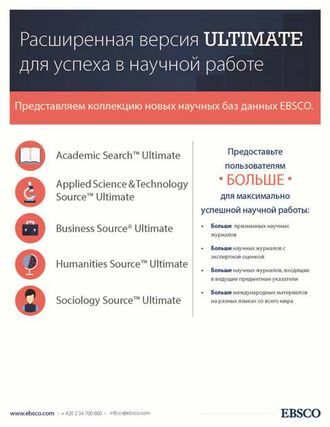 The Journal is responsible for organization of the International Conference «The Gospel text in Russian literature», which is held once in three years in Petrozavodsk State university. It aims at maintaining and encouraging the collective work on creating a new concept of Russian philology. Famous Russian scholars have contributed to publishing of the Journal: V. Е. Khalizev, F. Z. Kanunova, Е. К. Romodanovskaya, N. А. Krinichnaya, Т. G. Malchukova, I. А. Esaulov, V. А. Koshelev, I. А. Vinogradov, V. А. Voropaev, V. I. Gabdullina, V. V. Dudkin, Е. М. Neyolov, А. V. Pigin and others. Certain eminent foreign scholars have taken part too: Robert Louis Jackson (USA), Ludolf Müller (Germany), Jostein Børtnes (Norway), Dmitry F. Grigorieff (USA), Sophie Ollivier (France), Giuseppe Ghini (Italy), Erik Egeberg (Norway), Diane Oenning Thompson (UK), Ingunn Lunde (Norway), Irene Zohrab (New Zealand), Natalija Vidmarović (Croatia), Neda Andrić (Montenegro), V. V. Lepakhin (Hungary), Inès Muller de Morogues (Switzerland), Marta Lukaszewicz (Poland), Eliza Małek (Poland), D. L. Bashkirov (Republic of Belarus) and others. Founder — Petrozavodsk State University (PetrSU). Activity of editorial office of the magazine is carried out on the basis of the Charter. Periodicity. From 1990 till 2010 the Journal used to be published once every three years; from 2011 till 2016 once a year (in November). Moreover, the number of articles each issue comprised varied from 30 to 45, and the total number of printer's sheets of such an issue was on average 34. In 2016 along with a regular issue 14 there was released a special one - "The Poetics of the Fantastic" (Issue 4). Since 2017 the Journal "The Problems of Historical Poetics" has been published on a trimestrial basis - once every three months. It has an International Standard Serial Number ISSN both of a printed and digital edition: ISSN 1026-9479 (Print) и ISSN 2411-4642 (Online). 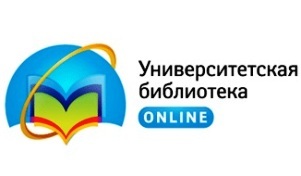 March 26, 2019 the journal The Problems of Historical Poetics has been included in the new List of peer-reviewed scientific journals and other publications recommended by the Higher Attestation Commission of Russia's Ministry of Education and Science for publishing the results of thesis research papers. The editors of the journal "The Problems of Historical Poetics" do their best to have the periodical registered in Russian and international abstract database and citation indexes. In 2011 the Journal was registered in Russian Science Citation Index. Information on the published scientific articles is presented within a month since the date of the publication of each issue. Since 2012 (vol. 10) the articles of the Journal have been drawn up in accordance with the international standards and requirements of indexes of citing. The journal is included in the catalog of NEICON ("The National Electronic Information Consortium"). All the scientific articles are recorded in the database of Registration Agency Crossref. 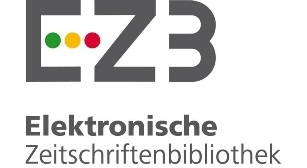 A digital object identifier (DOI) is assigned to each article. In 2017 ANVUR - the National Agency for the Evaluation of Universities and Research Institutes - established in 2006 by the Italian Government under the control of Ministry of Science and Education inserted "The Problems of Historical Poetics" in the list of scientific journals of category A.
in the scientific theological portal "Bogoslov.ru"
You are welcome to leave your feedbacks. Your opinions and suggestions will be highly appreciated.